According to Rolling Stone, Bruce Springsteen is one of the greatest musicians in the history. The singer created the nostalgic, somehow sad image of the old America in the 1980s. His art embodies the old rock-n-roll spirit, disappointment, and contradictions of those times. Bruce Frederick Joseph Springsteen was born in Long Branch, New Jersey, on September 23, 1949. He devoted whole albums to his hometown: the atmosphere of the American countryside printed in his heart and manifested itself in his lyrics. The musician’s early life was ordinary. He was a simple boy from a not-so-wealthy family; the father was a driver but had no job at some periods, and the mother worked as a secretary and became the family’s breadwinner. Bruce had two sisters, Pamela and Virginia. The family lived near a Nestlé factory, and the wind often brought the smell of chocolate. It was one of the most pleasant memories for the musician. Life was difficult for the Springsteens, and the parents had to get into debt to buy their son a new Kent guitar for $60. Bruce chose his career in his childhood. The boy was interested in music only and tried to avoid other activities including school studies. He did not communicate with his peers often. He would bring a guitar with himself and spent breaks alone, playing the instrument calmly. After graduation, Bruce refused to go to the prom. The teenager tried himself in yard music groups. 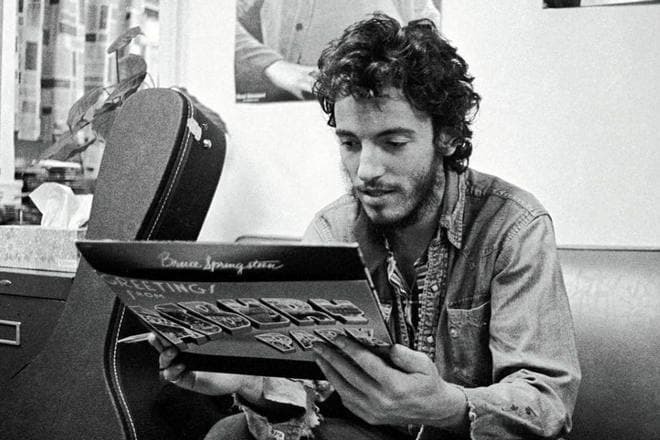 At the beginning of the1970s, Springsteen moved to New York and settled in Greenwich Village. The American was always interested in people’s motives and personal themes. The musician’s early songs pertain to folk and rock; the influence of Van Morrison and Bob Dylan could be traced as well. The debuting album Greeting from Asbury Park, N.J. was not selling well, and most critics ignored it. The second album The Wild, the Innocent & the E-Street Shuffle appeared six months later, but the result was just the same. As soon as Springsteen became famous, the audience paid attention to both works; the albums became platinum. In 1975, Bruce became the most popular US artist. He not only created songs for himself but also wrote for other groups. In 1978, he created the song “Because the Night” for Patti Smith that immediately topped music charts; it was the best song in her career. Many young musicians were successful at that period. Despite the growing competition, Springsteen remained popular. In 1980, the fourth album The River was presented. The ballad “Hungry Heart” turned out to be the artist’s trademark: it was indispensable at his concerts. 1982 was marked with the acoustic album Nebraska; in 1984, the album Born in the U.S.A. came out and made a bomb in the music industry. Seven songs were released as singles, and numerous copies were sold out. Born in the U.S.A. became platinum ten times. In 1990-2000, the artist harvested a collection of Grammy Awards including the prize for Best Male Pop Vocal Performance. In 1999, the song “Streets of Philadelphia” that sounded in the movie Philadelphia won the Academy Award. The first music video in the singer’s career was recorded for this song. In 2008, the musician took up politics and supported Barack Obama’s pre-electoral campaign. The next year brought the financial success: according to Billboard, Springsteen was the second highest-paid artist and earned $57,6 million. Nine years later, the musician touched the politics again: in his song “That’s What Makes Us Great,” he expressed his dissatisfaction with Trump’s course. In 2017, Bruce appeared on the stage with the U2 soloist Bono and performed the song “Because the Night.” He also joined Paul McCartney at the Broadway theater concert and sang some of his hits with Sting. 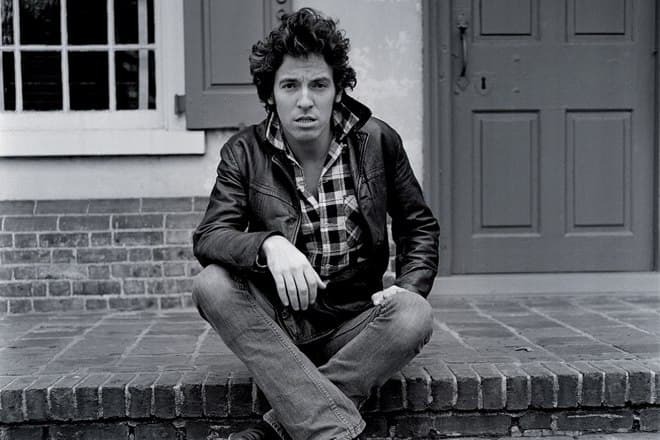 In 2013, Bailey Walsh’s documentary movie Springsteen & I came out. In 1999, a New Zealand scientist opened a small planet which was later named after the musician. The model and actress Julianne Phillips became Bruce’s first wife. The marriage lasted for four years. 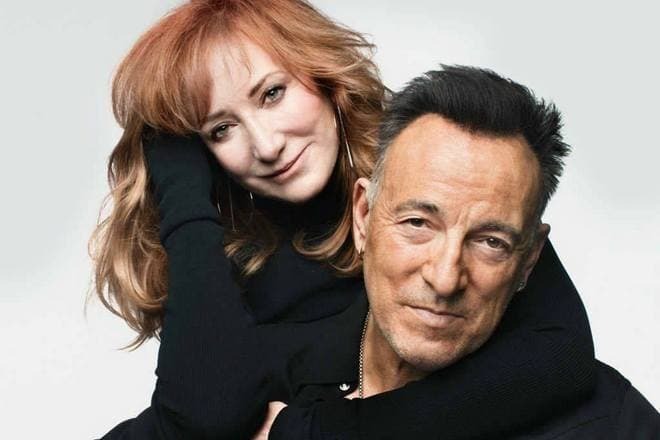 In 1991, the man married his new girlfriend Patti Scialfa; they used to perform in E-Street Band together. Today, the couple brings up three children: the daughter Jessica and the sons Evan and Sam. When it comes to communication with fans, Springsteen is sensitive. Once, a daring fan asked the artist to go to his mother’s dinner. It was a great surprise for them when the rock star accepted the invitation and went to see the family. Rumors have it Bruce was so glad to meet those people that he still drops in there. Nowadays, the singer does not often appear on the stage and almost never goes to large scenes. He prefers small private concerts and pays more attention to his personal live and calm creation. In 2018, Bruce turned 68, and he prefers to save his energy now. The musician has Facebook and Instagram pages. He rarely gives interviews and prefers to communicate with his fans live during concerts. 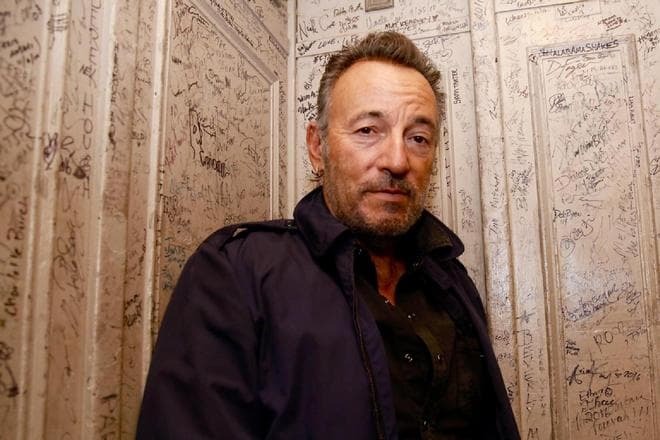 In the late 1960s, fans nicknamed the singer “Boss,” but Springsteen does not like it. When the musician played the guitar for the first time, it was “Twist and Shout” by The Beatles. The singer used to have a complicated relationship with Catholicism: in his childhood, he went to a religious school where the rules were strict. Bruce could not stand those norms and always resisted them. For that reason, a nun sat the boy in a trash can once. 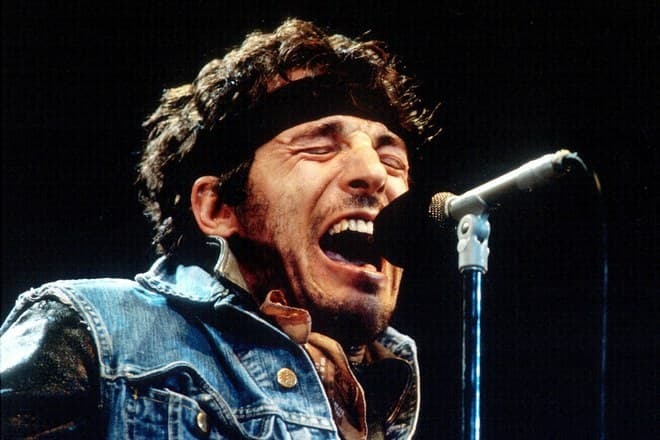 Springsteen hardly avoided being sent to Vietnam for military service. He had trauma after a car accident when he was 17. In the music video “Glory Days,” the former and the current wives of the musician appeared.